Down feathers are the most effective and durable natural fiber used as insulation in clothing and sleeping bags. It’s exceedingly lightweight and compressible. Therefore, down is a magnificent insulator for use during backpacking, mountaineering, and arctic exploration. It’s also a real lifesaver for kickin’ it in Chicago in, say, January. Here, we will explore two broad aspects of down feathers. Where does down come from, and how does it perform? Down feathers are fine, fluffy feathers found underneath the tougher exterior feathers of birds. Of special interest is the down coating of waterfowl – ducks, geese, and swans – because the plumes are much larger and lighter weight than that of other birds. These specialized feathers keep the animals warm as they swim and they help to maintain buoyancy. Waterfowl have been domesticated for thousands of years, and their down has been used as a bedding material for most of that time. However, it was not until 1936 that down was first used in clothing. Insulation works by trapping air close to your body and and limiting the amount of heat that can escape. You will stay comfortable in cold temperatures if the heat that you’re putting into the system (a.k.a. the environment inside your jacket or sleeping bag) is equal to the heat escaping. Thus, it’s not entirely correct to say that down is “warm.” Rather, you are warm and down simply prevents your body heat from escaping. Insulation holds on to air by creating millions and millions of little pockets for heated air to occupy. Still air is a very poor conductor of heat, and so heat inside the system has difficulty leaving it. These pockets prevent wind from disturbing the heated air and removing it from the jacket or sleeping bag. Insulating power is related to the amount of air trapped, not the material used to trap it. Therefore, thicker jackets are almost always more effective for lower temperatures than a thin jacket. For this reason, we cannot recommend jackets based solely on insulating material. A thick synthetic jacket will insulate better than a thin down jacket even though down feathers are the more powerful insulator. 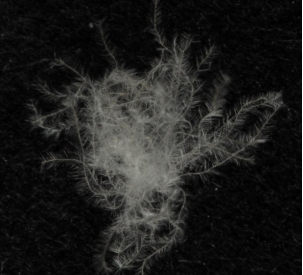 Why are down feathers so good at insulating? In waterfowl, down feathers are hidden under the outer layer of flight feathers, where it can insulate the water fowl from cold temperatures and hypothermia. Down is fuzzier and less regular in structure than flight feathers, which are marked by a long stiff, quill with ordered branching barbs. The barbs in down feathers are instead long and flexible, and they branch off in every direction. This helps the down form a lofty clump. This property is what makes down an excellent insulator. Flight feathers have orderly barb and barbules. Down has barbs that branch off in every direction. Down is particularly sought after in outdoor gear because of its incredibly high warmth-to-weight ratio and its compressibility. These qualities allow us to produce insulated apparel and sleeping bags that are extremely lightweight and packable. This ratio refers to the amount of air that can be trapped by a material in relation to its weight. However, there is no scientific test to quantify a person’s thermal experience, so what exactly do we mean by “warmth?” When it comes to down feathers, textile scientists test the amount of air space in down to its weight. Testing this quality determines the fill power of a given sample of down. Fill power is the volume – in cubic inches – that a single ounce of down occupies when it is at maximum loft. For instance, an ounce of down feathers with a 550 fill power traps 550 cubic inches of air, while one ounce of 800 fill power down traps 800 cubic inches. This property has more bearing on the weight of a down-filled product than its insulating power. Jackets of equal thickness with 550 and 800 fill powers respectively will insulate with roughly the same effectiveness. 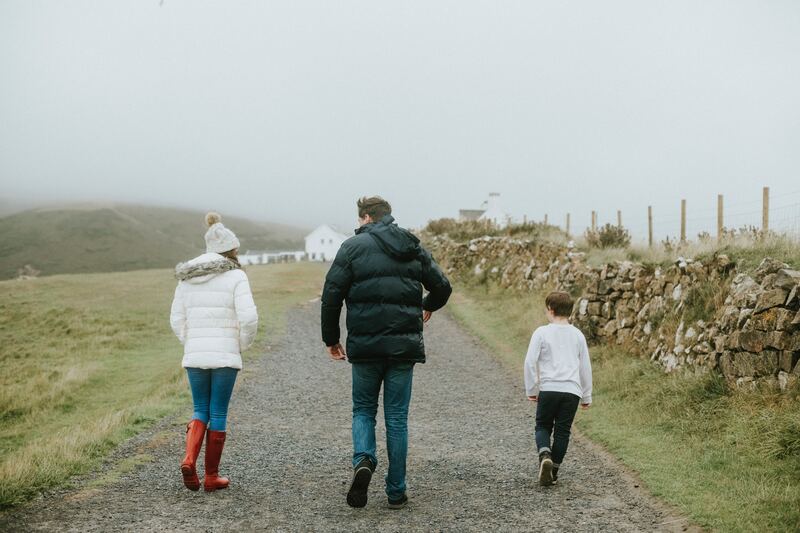 While it is true that higher fill power down is more highly prized by outdoor enthusiasts, this is likely due to the difference in weight of the finished product. Backpackers and mountaineers are always looking to shave off weight, so higher fill powers are better for their purposes. Large parkas for extreme cold weather would be unappealingly heavy if filled with down feathers with a lower fill power. Down feathers can be rolled or compressed to take up much less space. Many down jackets can even be packed down and stored in their own pocket. Down’s compressibility is quite impressive, but what’s more amazing is that it can recover from being compressed. After compression, down can regain its loft and its insulating properties along with it. Some materials, particularly synthetic ones, have fibers that weaken after compression. This means that repeated compressions make the fibers more likely to break. Once the fibers are broken, loft cannot be regained, and insulation suffers. The natural proteins in down plumes are highly resilient to compression. The structure and symmetry of down feathers provides a shape which can compress easily without stressing the individual fibers. This means that you can stow away your down jacket when you don’t need it. Furthermore, your down jacket will retain its insulating power for years and years. There is no perfect material for insulating. All materials have their strengths and weaknesses, and down is no exception. For instance, down is a fantastic insulator when dry, but its performance is lost when it becomes wet. Other substances such as oil from the skin, dirt and grime, or even detergent can also have a deleterious effect on down’s performance. Additionally, since down is an animal-derived product, there are ethical concerns surrounding its sourcing and use. Down depends on the superfine barbs remaining lofted and untangled to provide insulating power. When these barbs become wet, the surface tension of the water pulls the fibers together, which causes the plume to collapse. When collapsed, the plume can no longer trap air and insulating power drop. In fact, both an 80% reduction in thickness and a 16% increase in thermal conductivity have been observed when down becomes wet, allowing much more body heat to escape. Down does not easily regain its loft after becoming wet. However, agitating the plumes by placing them in a dryer with a tennis ball will make them good as new. If you read up on how to care for down, you’ll be able to safely renew your down after it has become wet or soiled. It’s difficult to source down feathers from live animals. While it’s true that water fowl species may molt regularly, removing ripe feathers is a process that must be done carefully by hand. When live feathers are plucked from an animal, it’s quite painful and is considered cruel. As a result, the apparel industry increasingly refuses to purchase down feathers from suppliers who practice live-plucking. Instead, down is sourced largely as a by-product of the food industry, where animals are slaughtered before plucking. A large majority of down feathers is sourced from China, where duck and goose are food staples. Some companies such as Patagonia and the North Face require their down producers and suppliers to meet stringent requirements. They will not work with any suppliers whose producers source down obtained by live plucking. Patagonia’s Traceable Down standard in particular is of note for its high standards for ethical sourcing of animal products. Clearly, down is not vegan since it is harvested from once-living creatures. However, using down feathers as insulation allows us to re-purpose feathers, which would otherwise become waste. Giving these feathers a new life as an insulating product is a way of reducing the total amount of organic waste that would otherwise find its way into our environment. 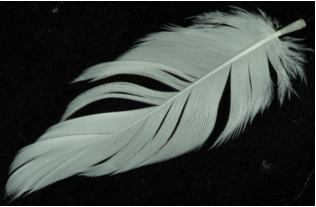 Down feathers are one of the most remarkable insulators in the natural world. Down far outstrips even the best man-made synthetics in warmth-to-weight ratio and compressibility. It remains the insulator of choice among backpackers, mountaineers, and arctic explorers despite reduced performance in wet conditions. As a result of concerns regarding live-plucking and ethical animal treatment, manufacturers have begun sourcing their down increasingly from the food industry, which allows for an environmentally friendly use of this industry’s by-products. Everything considered, down makes for an incredibly effective insulator. After all, what’s good for the goose is good for the garment.